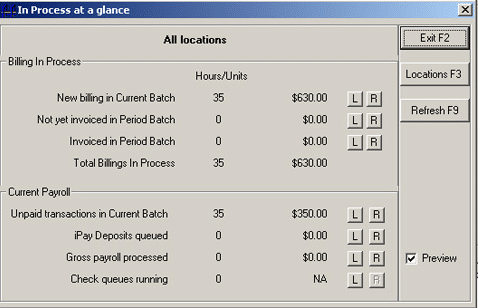 “Report>>In Process at a Glance” from the Temps Plus menu bar. You can also use predefined reports(or reports of your own design) by pressing the R button for an item. You can show breakouts by location by pressing the L button for an item.